Acaville Radio – Page 9 – Contemporary A Cappella Around the Clock! 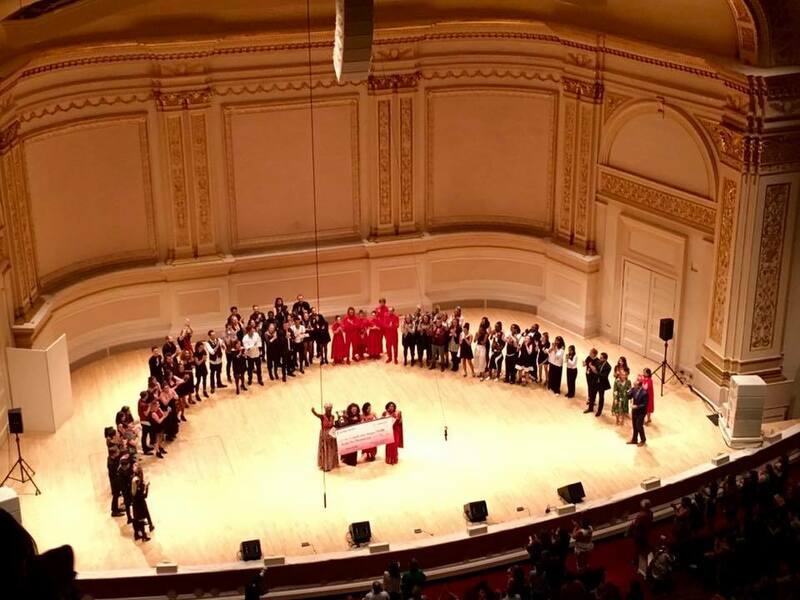 In a night of a cappella grandeur, brand-new New York City trio, Iris, tipped the scales in their favor. With masterful arranging and rhythm section work from Andrew John Kim, paired with the incredible vocals of Dara Orland and David Rowen, the halls of Carnegie were ringing with the sounds of just three voices. Iris takes classic songs and presents them with a modern twist, bringing at once a feeling of nostalgia and a strong urge to groove. Vocals were delivered with near perfection in strong emotional arcs throughout their four-song set. Iris kicked things off with Summertime with a simple and strong entrance that built over time. They upped the complexity with Blackbird with a natural call and response feel backing up strong solos, before moving into a breathtaking rendition of Bridge Over Trouble Water. They closed out their set with a powerful, upbeat take on Favorite Things. Kim’s beatbass was clean throughout, and he seamlessly transitioned in and out of harmony, as Rowan and Orland effortlessly captivated the audience. But, of course, with ten of the world’s best groups on an iconic stage, there were so many more highlights throughout the night. Since there was a strict ban on any audio, video, or photos during the show, we’ll try to recreate the best parts of experience for you through storytelling. COLLAB took the stage next and used their strong collegiate presence to their advantage. Everything about their presentation was enjoyable – fluid movement, strong solos, and a smattering of show-stopping chords. Sara Gilbert was recognized for her efforts in leading the group’s visual presentation with the award for Outstanding Choreography. We traveled across the pond for group three, as London-based VoCollective took the stage. The group utilized the strength of their rhythm section and offered great highlights of power singing with the female trio. Add in a little sass and some dance moves and you had the audience coming alive and ready to sing and dance. ICCA Finalist and Virtual Champion, RISE, stepped up the party vibe with confident soloists, a stable of talent, and a stirring rendition of Andra Day’s Rise Up. The group skillfully used key changes to amp up the emotional delivery and looked remarkably polished for a college group just getting into a new school year. The reaction from the audience was visibly positive, as they earned the first standing ovation of the evening. Next up, we were treated to an encore competition set from ICHSA Champions, Legacy. A final performance for the 2017-2018 group, these talented young singers did not disappoint. The energy in the hall skyrocketed as these eight teenagers took the stage like seasoned professionals with a youthful exuberance. Proving they are more than just bubblegum pop, they sang one of my favorite ballads of the night in a cover of “I Can’t Make You Love Me,” which they delivered with an emotional maturity well beyond their years. Their performance landed them in a respectable fourth place overall and number one in a lot of the audience’s hearts. Only two years into their creation, we can’t help but look forward to all the great things still to come from Legacy. Third place finisher LUXE closed out the first half of the show with clean deliveries, a smart rhythm section, and very strategic use of the individual talents in the group. Another brand-new group with a history of success in ICHSA and ICCA, LUXE successfully engaged the audience and looked very much at home on the big stage. Back from Intermission, the second half of the show kicked off with a bang, brought by none other than five-time ICCA Champions, The SoCal VoCals. 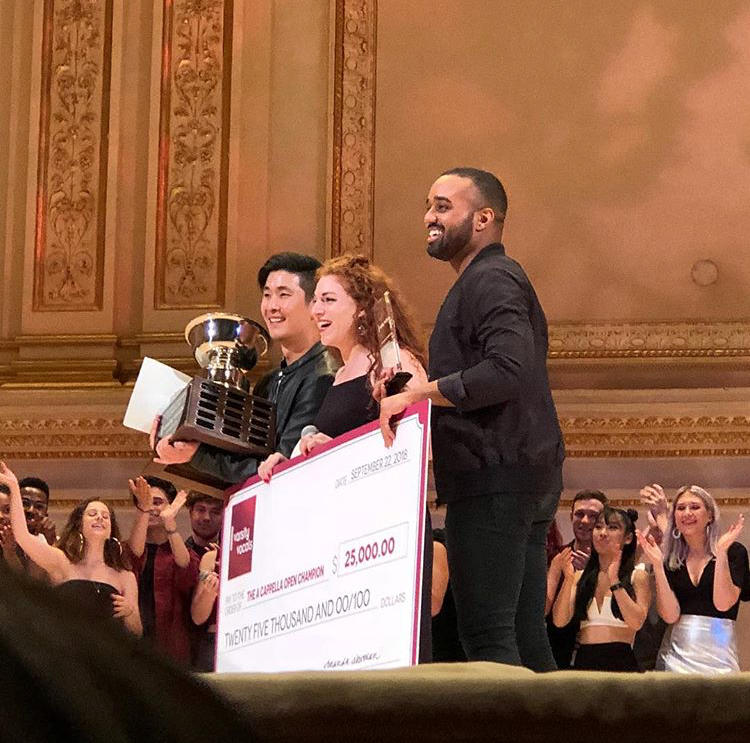 Carnegie Hall was treated to an encore reprise of the incredible set that captured them the ICCA Championship at Beacon Theatre in April, delivered with the flair and precision we’ve come to expect from this group. More excellent solos, with a special Outstanding Solo nod to Kaylah Baker, it’s possible that their performance of Pure Imagination was their best yet, and their dance moves are simply unparalleled. The group went home with a very strong second place prize. Reigning Harmony Sweepstakes National Champions and Bay Area favorites Business Casual had the tough draw of following the ICCA legends, but did so with such confidence and engagement, that they were one of my favorite acts of the night. This group knows how to win over an audience and they presented a very clear sense of identity in their performance. Each member of the group looked so natural on stage and brought a fantastic performance – but let me tell you how much I could sit and watch Cassie Greene all day. She epitomizes what I want as an audience member – calm but commanding presence, smooth vocals, and never a doubt that she is enjoying every second of her time on stage. Iris’ performance was next, just before the final competing group of the evening, Ember. This septet out of Baltimore brought an all-original set that showed real talent in songwriting from Alyce (Lisa) McNulty, Hansel Romero, and Erik Fredriksen. A little bit of big stage nerves were evident at the start of their performance, but they quickly settled in and delivered a wide range of moods and incredible artistry throughout their very eclectic and unique set. With the competition over and the judges hard at work, the audience got to sit back and enjoy last year’s champions, Women of the World. A superlative performance, as always, and full of demands for audience participation. With small groups now on a winning streak, it will be interesting to see the growth of the AcaOpen moving forward. Is less more? 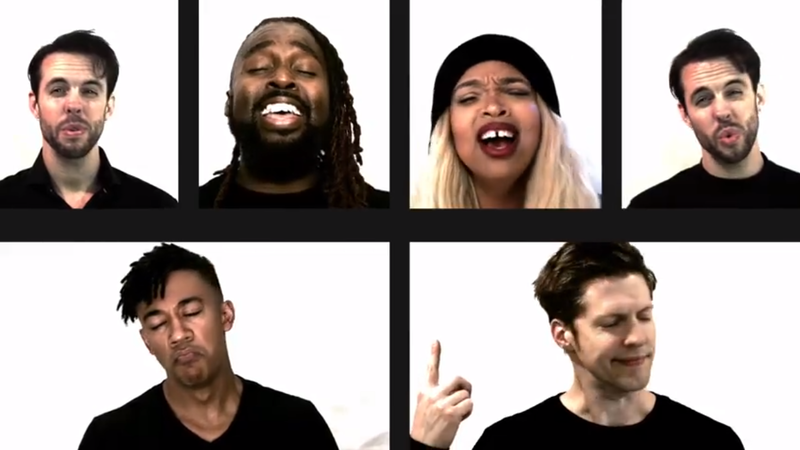 Is professional a cappella embracing simplicity? But most importantly, what will the talent in our community come up with next? 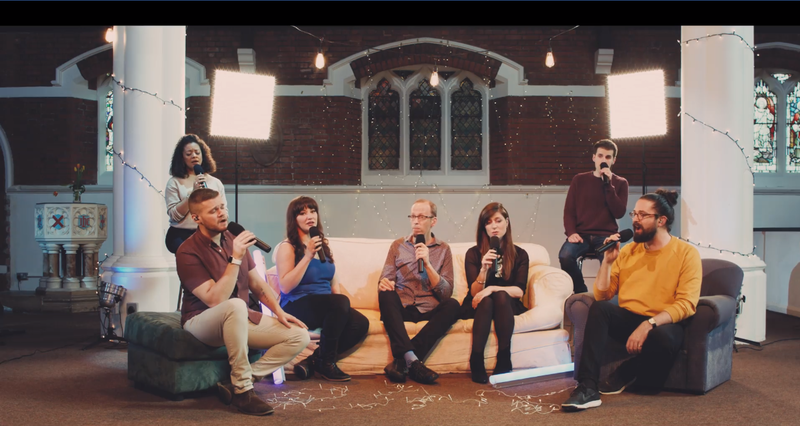 Tune into #TheSpotlight to hear some singing and interviews with finalists, including a full performance of the finals set from 2018 AcaOpen Champions, Iris. Today at 4 pm EDT, we’ll be bringing you a SOLD OUT performance from Alexandria, VA! 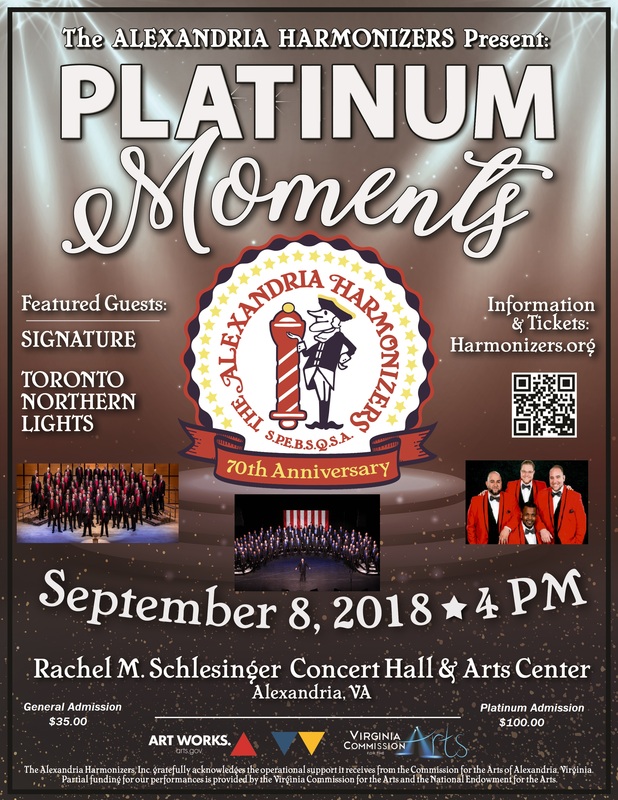 Tune if for Platinum Moments, a celebration of the Alexandria Harmonizer’s 70th Anniversary. This 4-time international champion is fresh off an 8th place finish at BHS Internationals, where the chorus scores were off the charts! 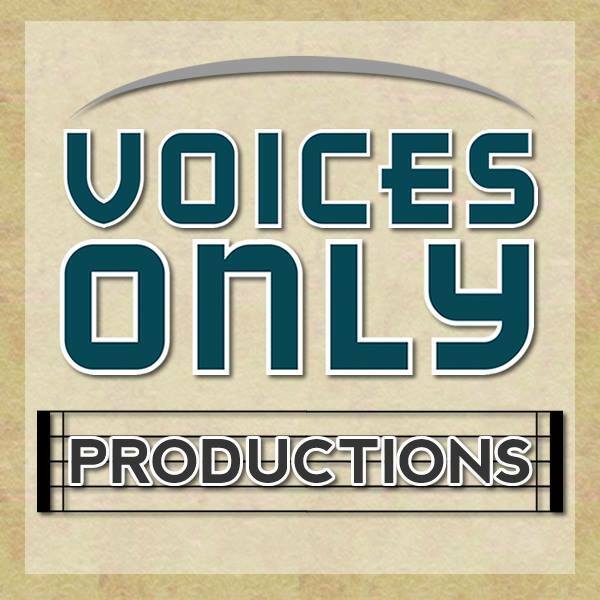 After many years of a split scholastic and professional compilations, Voices Only combined forces for 2018 Vol. 1 & 2. Here is the extended track list with a great list of high school, collegiate and professional a cappella, expected to be available for download soon. 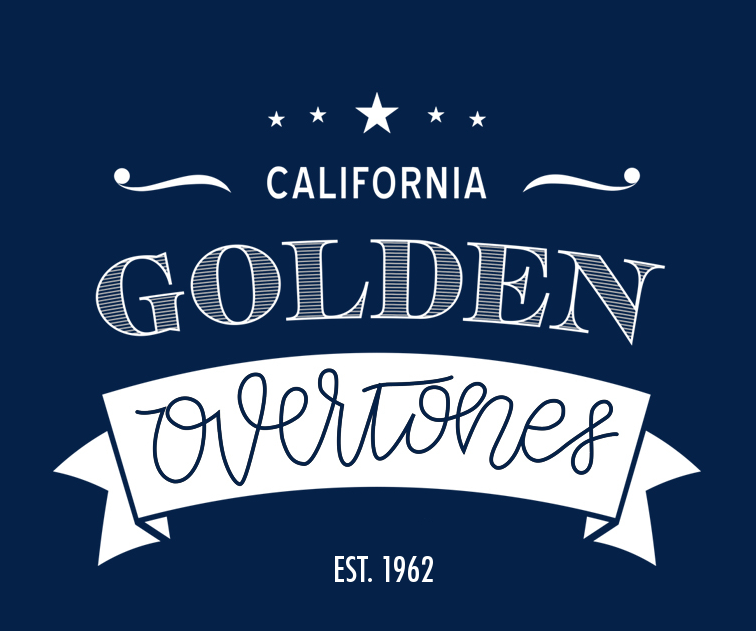 Catch the Spring 2018 Golden Overtones show – a little something for our non-members to enjoy as we get everything ready for the new 2018-2019 season! Catch our next live event broadcasts! Facing the music? Not always good. But @FaceVocalBand music? Always good! Their #SafetyDance is coming up! It comes a bit later in our hour and not right in the middle, but this hour's #Centerfold comes from the @f15acappella! Acaville participates in AmazonSmile – you shop at Amazon the way you always do, but start from the link below. You get all the same pricing and Amazon goodness as usual, but 0.5% of the purchase price on your purchases goes to support Acaville! Help Acaville by doing what you normally do. Just use this link to shop from Amazon. Thanks! We’re an all-volunteer organization doing our best to keep A Cappella on the air every day, and we can’t thank you enough for your donation! We are a 501(c)(3) non-profit in the U.S., and all contributions are tax-deductible to the extent permitted by law. You can request or dedicate a song right on the website – it’s easy! Click that heart icon above, search for a song in the library, select it, and we’ll play it during our request hour. You can even upload a personal dedication that we’ll play on the air before the song, or you can type out a dedication that we’ll read on the air. Psst! 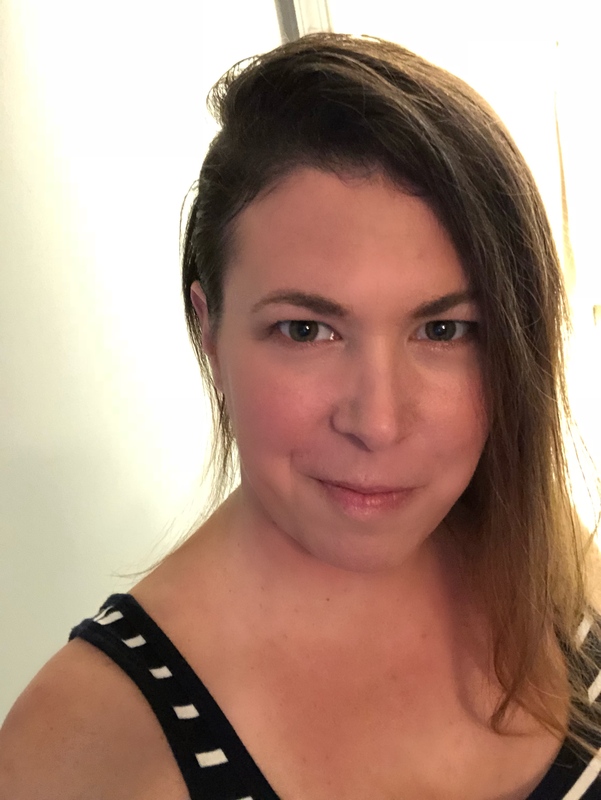 Hey, you! Yeah, you! We’re on the lookout for some volunteers to help grow the station. We’ve got several great opportunities open right now, both on-air and behind the scenes. Something there sound interesting? Read more about it, then send us a note! Acaville is now available on the go with our new app for iPhone, iPad and iPod touch. Get notifications when we play your favorite artists, review our recent play history, or just sit back and listen right from your mobile device!